Former: fitness enthusiast, athlete, and artist, and devotee at my former job. Currently: a little bit of a writer on a road to self discovery and self healing in the Dominican Republic, and oh, did I mention, disabled (grrr I hate that word and everything that goes with it but unfortunately, the fact remains). Flat on my back, this, I can do for bursts of time! Cherish those pain-free days where I can move better and breathe! This blog contains a lot of writing spanning greater than a 15 year history with the poetry & musings, and a 7 year history with the Dominican Republic. Walking is good for me, and thus, I get out with a little pocket camera (sometimes the Nikon) and ideas, and return home to blog away. I love accidentally discovering the next blog, such as “In Search of Trujillo.” I confess that some of the posts are about past experience, but you can certainly tell which are current events and I have 1000’s of foto’s to draw from, from the past 5 years as well as current fotos. Do I love it here? My feelings flow both ways. This is a developing country, I live in ghetto-like situation but my immediate hood is good, except for a couple shootings and murders of two acquaintances February and April of 2013. For me, this is existing, this is not paradise, only living and survival. But, I love my peoples here, my neighbours are awesome. I have been a loner all my life, but a sociable one. HEY, where I come from, we as a rule don’t even know our neighbours. Soooooo, not speaking a whole lot of Spanish is ok for me and I am slowly learning. Am I lonely, nope! I lived in isolation in my home country at one point for about 10 years. I’m a thinker, my brain is always working, jejeje, sometimes it’s just plain trying to remember something, or someone’s name. This, is a cakewalk, and friendships, good friendships are slow in coming, but hopefully, those will last. My love of this country and its peoples has lead me on some amazing adventures. I am blessed to be here. Life’s experiences cause me to see the world a little differently than most. Whether right or wrong, my opinions and my experiences are my own. Unless listed otherwise, all materials contained within are my copyright. I remain in waiting for the writer’s “dream job” offer … lol C’mon big guys … give a girl a break! Enjoy! A big round of applause, and a huge thank you to all my loyal followers, and to you future followers as well! Where common sense ends, the Dominican Republic begins! Journey with me while I continue to discover. I am awarding you the Versatile Blogger Award for the quality of your work. Further information is available at this site – http://wp.me/p2FYRz-9F. Thank you very much Mike! I will review the site quoted in detail soon and … jejeje … see if I can figure out the process! Say, as a salsa and bachata lover, do you guys dance a lot of bachata there? Thanks for reading the poem I wrote about Vasca–I was in the DR on a mission trip over spring break a couple weeks ago and it made a pretty big impression. I’m curious–have you been to Hato Mayor del Rey? That’s where we were based out of. I tried searching your blog, but I didn’t find any posts on it. I merely drove through Hato Mayo en route to Las Haitises. It’s a beautiful town, a place I could certainly live! It’s so cool! We got to spend a little time downtown, and there’s a really cool community park. Plus, the ministry I was working with is opening a new coffee shop down there. I’m hoping to go back at some point so I can see what it looks like when it’s finished. That would be wonderful! I love the cleanliness of Hato Mayor. Very different from most of the towns/cities that I’ve been to. I hope you get the chance to explore more of the country. This is an amazing place! Hello 🙂 I enjoy reading your blog..!! From one fellow expat to another – it’s refreshing to hear the similiarities and differences..!! 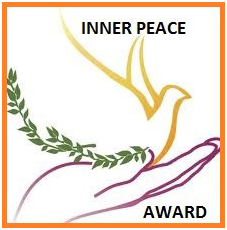 Therefore, I award you with the Very Inspiring Blogger Award which is a fun way of building community..!! Thankyou very much for the high praise! Glad you like the blog! I loved looking around your blog, I’ll be sure to return. I love what you post about and your writing style, some of its very funny too! Good luck with everything! I am so pleased you somehow stumbled upon my admittedly quirky travel blog http://www.travelbyterry.com. I am even more delighted that you have elected to follow along on a regular basis. Maybe that’s where the “loca” part comes in ;o). I look forward to taking a spin around your site as well! Thank you. There will be more coming, and will be trying to focus on what the people here need as well! Thank you very much for the nomination Karen. I appreciate it immensely! Here, essentially, if you open your mouth and don’t sound like a Dominican, you’re a gringo. Doesn’t matter what colour your skin is! But I have been welcomed with open arms. Some genuine, others to get close enough to want to share in my bank account. On the whole I love this country and it’s people. If I didn’t, I wouldn’t be here. My God I love this country! Here racism still exists, but on different levels. Dominicans aren’t fond of Haitians and vice versa. Kinda like Canada with the French/English thing. It’s also a very classist system. That, I don’t like. One of the reasons my daughter and I love it here because there is none of that black persecution as there is in the USA. Everyone’s black or a shade of. Her fellow is black American and her blood boils at the injustices that keeps them in poverty. My blood’s not far behind hers on the thermometer. Thanks for stopping by my blog. My sister went to medical school in the DR. She is deceased now. Her experiences were pretty much like yours. Hope you continue to enjoy DR and pick up some more Spanish. Gracias chica, me gusta ese pais. Hey ya, I have an award nomination for you: Dragon Loyalty Award! You can view your nomination here: http://turquoisecompass.com/2013/12/14/dragon-loyalty-award/ Congratulations. It’s been great connecting with you. Thank you Jessica. I couldn’t agree more! Been awesome getting to know you too! Congratulations! 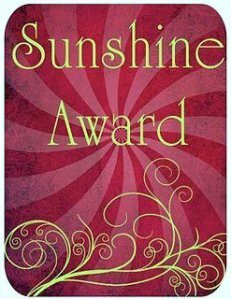 I’ve nominated you for the Wonderful Team Member Readership Award! Thank you so much for your ongoing support and encouragement! You are one of my original followers and I have been blessed to have you along for the journey! Happy blogging! Connect with Turquoise Compass on Instagram, Pinterest, Facebook, and Twitter if you have them! I want to share more with you and you with me! I am glad that you are along for the ride. I’ve been three times to Punta Cana in the DR. It was like paradise. Thanks so much for the follow. 🙂 I’m sorry about your pain, and wish you well. Hope all is well. Just thinking of you! I haven’t been able to connect as much with my fast pace travels through Australia and New Zealand, but know that I think of you and hope you are well. How’s the weather down there? Hot, hot, hot! So good to hear from you… enjoying your life vicariously! Would you accept a guest post from me? What is a guest post? You want to post on my blog or vice versa? And depends on the content. Thank you love! 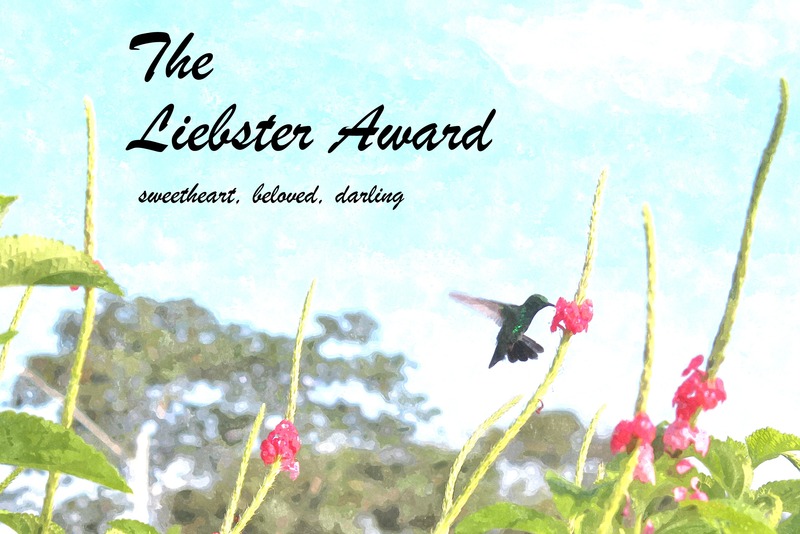 I’m already a recipient of Liebster! So far, the week is going ok 😉 Healing a little bit every day. Soon (maybe 3 weeks more) hoping to be back in the sea! Hey Loca Gringa, thank you SO much for checking out my blog. Perfect timing since I’m delving into Dominican-inspired cuisine right now. What are your favorites (other than tostones)? Also, just a quick question since we are just connecting – how did you come to live in the DR? Just read the blog, lol, you’ll get lots of answers. My fave, pollo guisado! Sancocho, a huge dislike for me. That’s at a farmacia in Santo Domingo Este. Cracked me up when I saw that. Love your blog! Just recently became a follower, y family actually comes from the Dominican Republic, so this is awesome. Im actually taking a spanish media class, and the target audience that has to reach my blog posts are those readers front he Dominican Republic. So if you could take a look at my recent gossip blog post for our class blog id appreciate it. Its how I’ll get an A for the class. Thankyou so much! Since we’re a writing for spanish media class, our professor decided to have us run a bog, and luckily i, able to write the weekly gossip column which i named #JuevesDeChisme, so hope you enjoy my articles as well as the rest of ours! I also hope my beautiful country is resting you amazing! Yes it is! Here, well, it’s a warm place in climate and in heart. A little difficult to fit in if you are extranero, especially if you are not fond of other expats lol. There’s a lot of “taking advantage of gringos” here by some Dominicanos. And that’s really too bad. Because then, when you meet genuinely good Dominicans, and there are many, you simply lack trust. The bad ones, ruin it for all. It’s true that i’ve experienced first hand, even if you’re dominican by birth or thru family but don’t live there, you live out of the country its the same. You have to watch who you trust, also the crime rate is horrendous. So i completely agree with the bad ones ruining it for the good ones, its hard to trust. But sometimes you have to take small leap of faith. Yea, if you are a Dominican Expat in the USA or Canada, or anywhere actually, locals all believe your grass to be a whole lot greener and … gold plated But yea definitely take a leap of faith, but realize that in many cases you’ll crash into the ravine! Yes, but until they experience it for themselves, and by that I mean, living and supporting themselves, not simply marrying into a new life, only then, do they get it. You can talk to them until you are blue in the face, they think you are wrong, they don’t get it, and they don’t want to get it. I’m an American living in the Dominican Republic. I’m excited to hear about your experiences! Jajaja, well, certainly not all good! None-the-less, do enjoy! Hello! Just found your blog and decided to follow. Have a good one!